Atlantic Offshore have ordered two new vessels, worth €50 million from Zamakona Yards in Bilbao, Spain. Atlantic Offshore is now building six new vessels, at a cost of NOK 1.6billion. Atlantic Offshore have placed orders for two FSV vessels with bollard pull. Additionally, the company have options for two more vessels, of corresponding price. Zamakona Yards have built several similar vessels in the recent years, and have solid international references relating to quality and delivery time. Both vessels, and any options, will be delivered during 2014. The vessels are tied to the contracts Atlantic Offshore have entered with oil companies Total and Shell United Kingdom, and will operate in both Norwegian and British sectors. 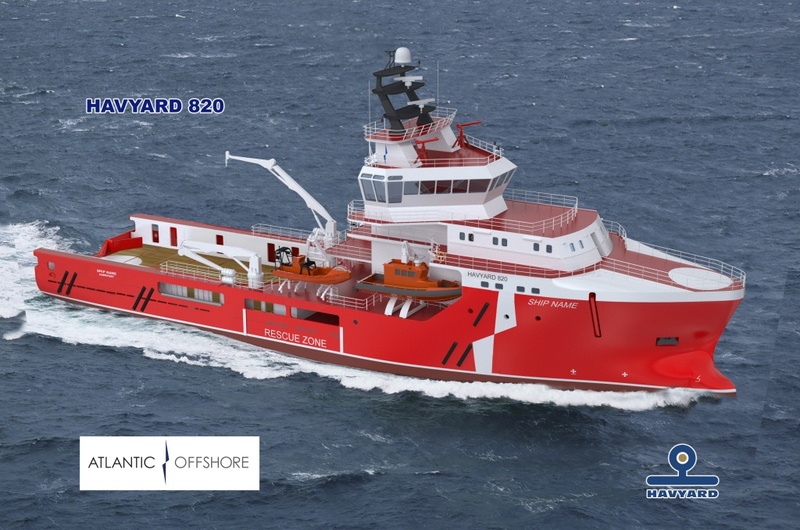 They will be built in the HY 820 design, developed by Havyard in close cooperation with Atlantic Offshore. The Spanish yard will involve Norwegian subcontractors for the newbuildings. – The vessels represents, in all aspects, one of the most modern standby vessel, and we note that oil companies are eager to acquire vessels that can serve functions beyond emergency rescue and response, says Wareberg. He points out that it is imperative that future FSV vessels can alleviate platforms with towing and cargo-storage capacity. The vessels are equipped with hospital with providing for up to 300 people. One vessel will be delivered with advanced fire fighting (FiFi II). The vessels are 68 meters long and 16 meters wide.